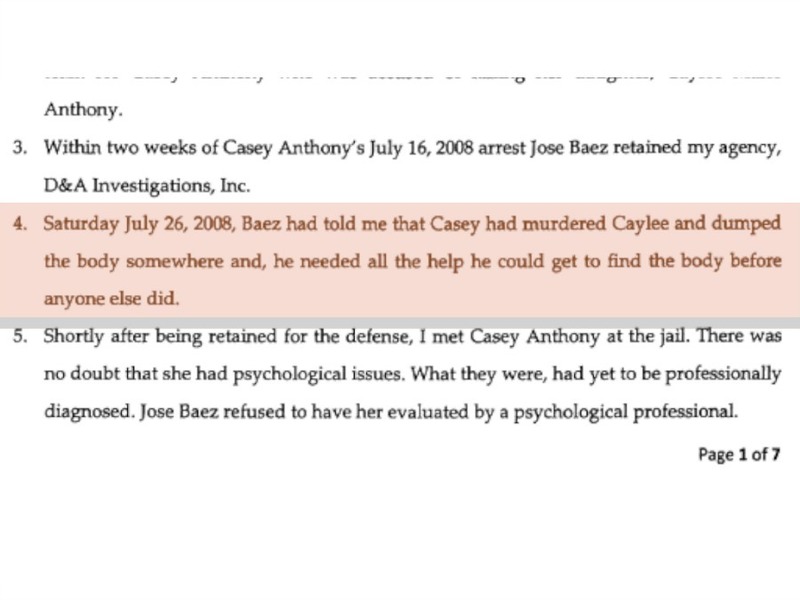 A private investigator hired by Jose Baez, the defense attorney for Casey Anthony, claims Baez admitted that Casey Anthony killed and buried the body of her 2-year-old daughter, Caylee. In an affidavit, Dominic Casey said Baez told him he "needed all the help he could get to find the body before somebody else did." 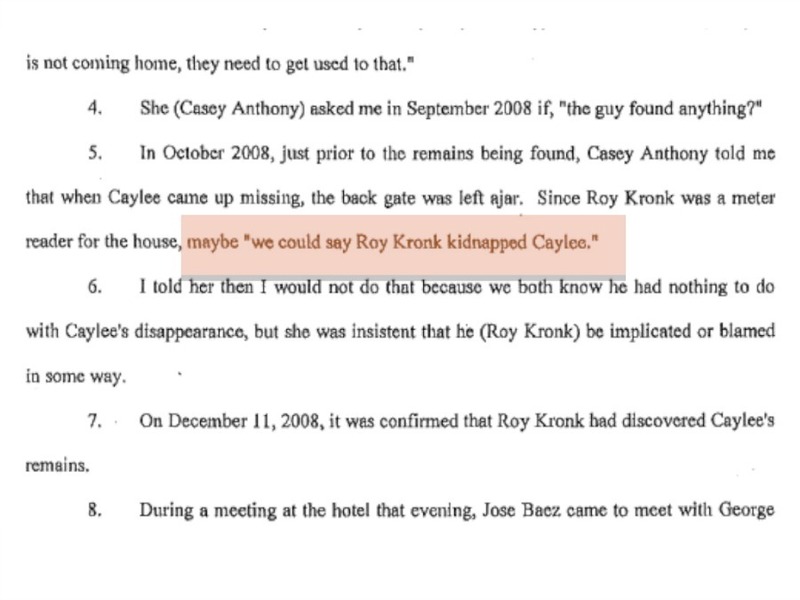 The investigator also said Casey Anthony wanted to implicate the man who ended up discovering Caylee’s body by suggesting her attorneys say he kidnapped her. A Florida jury acquitted Casey Anthony in 2011 in connection to the death of her daughter. You can read the court documents in full by clicking here .